New Delhi: Come 2016 and you may be able to zip off in your personal car or public transport for Yangon and Bangkok. Another year or so and you will have roads leading to Hanoi, Kuala Lumpur, Singapore, Cambodia and Laos. A few years more years down the line and trains and motorboats – containers and otherwise – will be travelling to and from between Kolkata, Myanmar and Thailand and other destinations in South Asia and Southeast Asia. There are also plans on anvil to connect India with Turkmenistan and Azerbaijan by road and rail. China, on the other hand, wants to connect Kunming, its show window in Yunnan province in Southwest, with Kolkata through a high speed rail link. Asia will be the next Europe with highways, rail lines, waterways and port to port connectivity taking roots in the Asian subcontinent in the next five years. India has already signed a motor vehicle agreement (MVA) with Bangladesh, Bhutan and Nepal (BBIN). The four countries will soon start issuing inter-state travel permits to their public, private and goods transport vehicles and plan to upgrade and repair their roads by 2018. India, Myanmar and Thailand have approved the draft of their MVA and hope to wrap it up before January 2016. Neeraj Verma, Joint Secretary in Union Ministry of Road and Transport, calls the MVAs creation of a market. Once the roads between Manipur and Myanmar are upgraded, we may have buses plying between Imphal, the capital of Manipur and Mandalay, the second largest city in Myanmar. The frequency of buses connecting New Delhi and Kathmandu may also be increased to multiple times. Under the BBIN, India will connect with Nepal via Panitanki, a village in West Singhbhum District of Jharkhand. Here India and Nepal are divided by Mechi River. New Delhi and Dhaka will link up via Phulbari, a village in Jalpaiguri District and Chandrabandha in Koch Bihar District in West Bengal. Jaigaon Village in Alipurduar District of West Bengal, on the other hand, will be the transit point between India and Bhutan. Road Transport Minister Nitin Gadkari says road connectivity between India, South Asian and South East Asian countries will accelerate economic growth in the region. 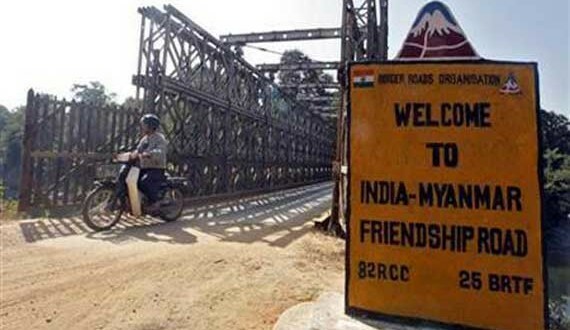 India-Myanmar-Thailand highway will traverse through Moreh (Manipur) and Mandalay (Myanmar) before reaching Mae Sot (Thailand). The 3200-km long highway is set to be completed by 2019. A road already exists on the stretch but it needs urgent upgradation in Myanmar. Construction of the highway, to be part Asian Highway 1, is being supervised by Indian Foreign Ministry. 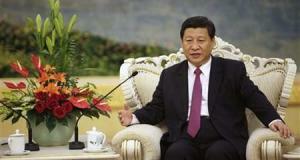 A turn from near Mekong River in Myanmar will take India to Laos and Vietnam. The trilateral highway is also expected to link India with Indonesia, Cambodia, Malaysia and Singapore, four other members of the ASEAN. India’s Northeast Frontier Railway (NFR) is constructing a rail link from India (Jiribam to Tupul to Imphal to Moreh) to Myanmar (Tamu-Kalay-Segyi) and further to other Southeast Asian countries. The NFR has already completed the Jiribam to Tupul (around 80 km) stretch and is in the process of laying a single track from Tupul to Imphal. Last year, the NFR completed a survey of 118-km long Imphal-Moreh line and shared the report with Railway Board. 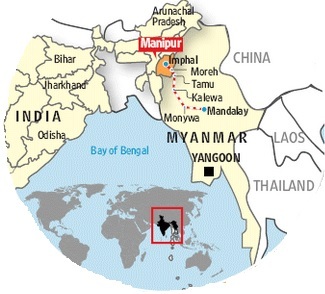 Besides the Moreh-Myanmar-Southeast Asia rail link, New Delhi is considering to connect at least two of its Northeast states (Tripura and Mizoram) with Myanmar and other Southeast and South Asian countries. This 257-km long railway link from Jawahar Nagar (Northern Tripura) to Kolashib (North Mizoram) to Darlon (Myanmar) is, however, still at a conceptual stage. According to Harpal Singh, Chief Engineer (Construction) in the NFR, Jawahar Nagar-Darlon route will be much shorter than the Moreh-Myanmar link. The two railway projects are supposed to connect seven sisters of India’s Northeast with 81,000 km long Trans-Asian Railway Network (TARN) which, apart from connecting Southeast Asia and South Asia, will cover Iran and Turkey. The Indo-Myanmar rail link, expected to connect India with Singapore and other Southeast Asian countries, was announced under Mekong-Ganga Cooperation. Besides the rail and highway connectivity, India is developing a multi-modal transport project which will connect Myanmar with India’s Northeast via sea, waterway and road. India is building Sittwe Port in Myanmar which will link Mizoram to Myanmar through Kaladan River and Kolkata to Myanmar through a sea route. At the same time, New Delhi has been trying to beef up air connectivity with China, Myanmar, Thailand and other Asian countries. 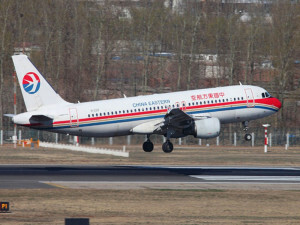 The recent launch of direct flight between Kunming and New Delhi should be seen in this context. India has already launched a commercial freight service between Chennai and Yangon and commissioned a study whether cargo and passenger services on same pattern can be replicated to other Southeast Asian countries. Currently, all the trade between New Delhi and Southeast Asian countries take place through sea route. Once the highways, rail links and waterways become operational it would be much easier for India and ASEAN to raise their trade to $ US 200 billion (their target for 2022) and beyond. The transport and framework agreements signed between New Delhi and Dhaka for connectivity by road, rail, rivers, sea, transmission lines, petroleum pipelines and digital links during visit of Indian Prime Minister Narendra Modi last month, is expected to give wings to India’s connectivity with China, South Asia and Southeast Asia. It would not only allow India transit access through Bangladesh for trade with Southeast Asia but also reduce the distance from Kolkata to Agartala by over 550 km. Modi and his Bangladesh counterpart Sheikh Haseena flagged off the Kolkata-Dhaka-Agartala and Dhaka-Shillong-Guwahati bus services in the presence of West Bengal Chief Minister Mamata Banerjee. Federation of Industry & Commerce of North Eastern Region (FINER) hopes the grant of transit right for Indian goods by Bangladesh will make the movement much faster as Bangladeshi waterways can be used for the purpose. With the signing of BBIN (Bhutan, Bangladesh, India and Nepal) MVA and its proposed integration with India-Myanmar-Thailand corridor in future, India has shown how it will connect with South Asia and Southeast Asia without Pakistan, which has been reluctant to sign for SAARC (South Asian Association on Regional Cooperation) integration. Islamabad had refused to sign the agreements on motor vehicle and rail connectivity at a summit in Kathmandu in November last year. In May this year, India signed a MoU (memorandum of understanding) with Iran to develop Chabar port there to gain access to Afghanistan and other Central Asian countries without Pakistan. Chabar port is about 550 nautical miles from container terminal at Mundra in Kutch District of Gujarat and could help India in trading with Afghanistan, Iran and other countries in Central Asia. Previous: Rahul Yadav’s resignation drama: Yet again ?